French success stories in California are not limited to High Tech. Jean-Charles Boisset, a leader in the French wine industry has resurrected a dormant historic winery, Buena Vista, in Sonoma, California. Buena Vista winery in Sonoma that he splendidly restored. My wife and I fell in love many years ago with the Sonoma wine country when we started to come every year in early May to visit our older son, Stéphane, my occasional blogging partner, and since 2005, our grandchildren. Stéphane, who has been living and working in Mountain View, at the heart of Silicon Valley, since the late 1990s shares my passion for wine and as a Mother’s Day present he offered us a 3 days mini-vacation about 12 years ago at a great inn called the Gaige House in Glen Ellen, just north of Sonoma. We loved it so much that since then our annual trip to Sonoma has become a very enjoyable rite of spring. We have discovered many great natural sites, restaurants, museums, shops, and above all friendly and relaxed people between Petaluma and Geyserville, where Stéphane’s wedding took place in a winery inJune 2003. When we are in Sonoma County we sometimes have the feeling that we enjoy this area almost as much as my native South of France where I grew up surrounded by vineyards, and olive, chestnut and fig trees. Later on I lived in Provence for a few years, particularly during my college years when I studied at the University of Aix-en-Provence, where I met Nancy my American wife, and I also worked in Avignon. This allowed me to visit the wine producing regions of the Côtes du Rhône, Côtes du Ventoux and the Côtes du Lubéron. And many times since we moved to Chicago in 1970, we have returned for summer vacations in Provence and in the Lubéron where we have friends. In 1994 we visited with Yves Rousset-Rouard, a well-known film producer and owner of the Domaine de La Citadelle in Ménerbes that produces very good Côtes du Lubéron wines that I discovered when he was presenting them at a trade show in Chicago. He was also the mayor of that charming little town at the heart of the Lubéron that Peter Mayle put on the French map of many Americans in his book “A Year in Provence”. But the main reason we were there was to see Rousset-Rouard’s famous collection of more than 1,000 corkscrews of all kinds and shapes, some of them more than 300 years old, that he had assembled in a very attractive ‘’Musée du Tire-Bouchon’’, located on his estate. Nancy wrote an article for the Chicago Tribune about the museum. I mention Provence and the Lubéron, and our deep attachment to this region, because we found many areas and wine districts in the Sonoma wine country that reminded us of the Lubéron. We particularly like their harmonious landscapes and the ‘’joie de vivre’’ of their people, many of them wine growers and restaurant owners. Over the last 12 years we visited many wineries between Healdsburg and Sonoma and progressively discovered some very exciting wines from well-established labels as well as little gems, with strong terroir qualities, in districts such as Russian River, Dry Creek, and others. This year though, we were trying to find new places to explore, and particularly museums or art galleries that might have escaped our attention during preceding trips. On May 6 in the morning, Nancy was reading the May-June issue of a Californian magazine, Gateway, that she had found in our beautiful mini-suite at the Gaige, when she suddenly exclaimed ‘’I found a museum that looks very interesting, especially for you”. She passed me the article by Kathleen Thompson Hill, titled ‘’Tools of the Trade’’ and it immediately fascinated me, not only because it reminded us of the Musée du Tire-Bouchon in Ménerbes, but also because it mentioned that all these tools were from France. They were exhibited a few miles from our hotel in a historic winery, Buena Vista, in Sonoma now owned and completely restored to its past splendor by a well-known French wine producer and négociant, Jean-Charles Boisset, who very explicitly likes to call himself a ‘’viniculteur’’. The article described a large collection of tools, implements and instruments used all year-long by wine growers for the planting and caring of their vineyards, and by wine makers for the ‘’vinification’’ (wine making processs) of their wines from harvesting to bottling. I immediately did some research on my iPad and found out that this exhibit was originally assembled, and shown in a small town called Loché in Bourgogne (Burgundy, France) as a ‘’show’’ called Le Vigneroscope. This very successful exhibit was created in 1999 by a vigneron (wine grower), mechanical and electronics engineer, and wine historian named Philippe Bérard who for decades had collected more than 1,200 harvesting and wine-making tools from Burgundy, and later from all the wine growing areas of France. The show was produced by Jean-Claude Boisset (Jean-Charles’s father), the founder and owner of the family-owned very large and powerful wine conglomerate located in Nuits-Saint-Georges in Burgundy. 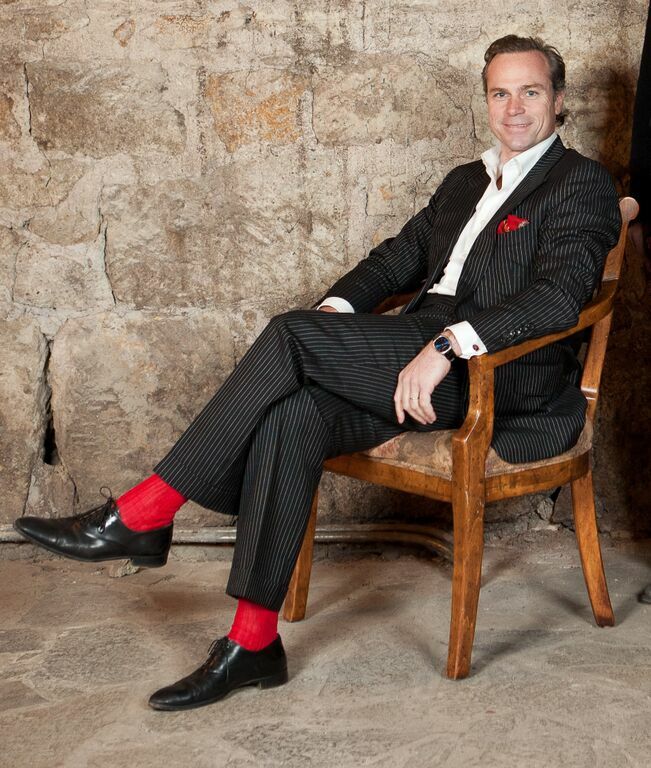 Jean-Claude Boisset was, and still is, is a very ambitious, creative, and innovative entrepreneur who was completely atypical compared with the very traditional and in some way conservative world of ‘’vignerons bourguignons’’ where very often vineyards and wine houses are transmitted from father to children from generation to generation. In 1961, when he was only 18, this son of elementary school teachers dreamed of becoming a “négociant en vins de Bourgogne’’. He purchased 4 appellations of regional wines that he resold rapidly with profit. Then 3 years later he acquired and planted a small parcel in Gevrey-Chambertin, Les Evocelles, which was actually the first base for the Maison Jean-Claude Boisset. After a short period in Vougeot, he moved for good in 1970 to Nuits-Saint-Georges where he soon established its headquarters in a modern building that was originally the site of a former convent. From there he pursued a very rapid expansion. In 1990 his group’s strategy started to focus more on higher-end appellation quality Burgundy wines. Since 1999, many assets, managerial as well as research, development and production, of the Burgundian family estates (altogether close to 30 appellations) are now recentralized with the increasingly active participation of his son Jean-Charles and his daughter Nathalie as top executives in their beautiful Domaine de la Vougeraie. In 2002, Gregory Patriat a very competent ‘’viniculteur’’ as he likes to define his job combining both the functions of “viticulteur” (supervising the whole care of the vineyards), and “vinificateur” (wine making and oenological development of various appellations) became a key architect of the second phase of development of the ‘’collection’’ of quality labels at Boisset. After multiple acquisitions the group was renamed ‘’Boisset La Famille Des Grands Vins’’. Among the better known French ones you can recognize a few iconic names from Burgundy such as Bouchard Ainé, J. Moreau, Ropiteau, Antonin Rodet, Bouillot, Jaffelin. From Beaujolais: Mommessin and Benoit Lafont. In the Côtes du Rhône wine houses such as Bompas, Salavert, Lavigne, and in Languedoc Skalli (Fortant de France). The most recent acquisition comes from the Jura with the old house of Henri Maire. Several other participations and partnerships were established in other parts of the world, such as Italy, South America, and Quebec where Boisset owns an apple cider business, ‘’La Face Cachée de la Pomme’’. Boisset innovated again with the launching in 2005 in the U.S. of French Rabbit, an ecological way to sell good quality vintage wine in “Tetra Pack” containers. It was a bigger success in North America than in Europe. To refresh my memory, I read a few more articles about both the Boisset family in general and Jean-Charles in particular. I met him very briefly when I visited the Boisset booth at the Vinexpo show in New-York in 2002. I remember a very dapper and cheerful man who spoke English fluently and at the time discussed a possible partnership with a Canadian winery. Over the following years he moved to Napa Valley and in 2009 married Gina Gallo, a grand-daughter of Julio Gallo, who still has a very important managerial role at her family’s company. They live in a spectacular house that was designed and built for Robert Mondavi, the patriarch of Napa Valley. Far too many of the numerous articles written in newspapers and magazines, and the TV interviews unfortunately insist on Jean-Charles’s life style. Some mention his occasional ``flamboyant`` eccentricity, his taste for luxury and theatrics, his devouring passion for ‘’high quality in everything he touches’’, his love of celebrations and festivities, his many awards. But relatively few journalists focus on his most impressive assets: his incredible sense of entrepreneurship, his total dedication to his French and American family and to many good causes, and his non-stop pursuit of achievable dreams. In fact he has inherited many of his father’s qualities, but added to them one particular and very important touch: he is a very strong believer in the American way of doing things, but at the same time he is still very attached to his French and Burgundian heritage and traditions. Above all the man is curious about everything related to history, American as well as French, and of course about everything related to wine-past and present. He could be considered a true example of the perfect blend of French and American culture. We should not forget that even though he was born surrounded by vineyards in Vougeot, some of his most formative high-school years were spent in Washington DC, and that his grand-parents took him with them when he was young to visit Northern California during a summer vacation. He was only 11 years old when they went to Buena Vista, a visit that obviously left a mark on him. accepted this new challenge. The rest is history. Jean-Charles negotiated and acquired several well-established Californian wineries. The first one was De Loach in 2003, then Raymond in 2009, followed by the acquisition of Lockwood, Lyeth, and finally Buena Vista in 2011. He also created his own brand, JCB, out of his HQ at Raymond winery in St. Helena where he manages his American company Boisset Family Estates. Jean-Charles who strongly believes in sustainable and organic farming implemented biodynamic methods at Raymond’s that had been put to practice earlier at La Vougeraie. Our visit to Buena Vista and our interesting conversation with ‘’ The Count’’ about the history of the winery and its original founder. I called Buena Vista and asked if we could visit the museum that same afternoon and talk to somebody from the PR dept. there. I was told that it was possible and that someone would show us around and answer our questions. At around 2:00 PM, after a short (7 minutes from downtown Sonoma) but beautiful drive on a small country road bordered by splendid leafy trees, we arrived at the site of the winery’s parking. Then we walked down a path where we encountered our first surprise. On the right side of that path leading to the winery’s main building strange silhouettes were standing on its hilly banks among fruit trees. It did not take long to recognize which historical figures from American history as well as French literature or Greek antiquity, they personified. We entered the imposing stone building through the main open door and found ourselves in a beautiful tasting room with a long bar to the right and I asked one of the young men serving wine if he knew whom we should ask for to be able to visit the museum. He placed a couple of phone calls then told us that our “guide” was on his way. After a few minutes a man entered the door from the outside, stopped in front of us and extended his hand greeting us with a surprising “Hello, I am the Count”. I looked at my wife wondering if like me she thought that this strange character whose persona, stature, and voice corresponded more to an image of Jean Valjean in “Les Misérables” than to a winery PR person, but she just smiled and shook his hand. The man was wearing a top hat, an elegant black frock coat, a cravat around the old-style collar of his white shirt, and a brocade vest. He walked with an elegant cane, and was sporting very aristocratic a well-groomed grey beard, sideburns, and a mustache. After I explained who we were and our interest in the museum, he told us that the large tasting room where we stood used to be the press house of the old winery. In 1862 Buena Vista was the first winery in California to have a gravity-flow press. The ‘’Count’’, actually impersonated by a talented actor named George Webber, who also serves as an occasional marketing ambassador for the winery , then took us to a visually impressive tour of the ‘’Champagne cellars’’ where you can taste wines directly from the barrels. When the recently restored caves were excavated in 1864 they were the first ever in California. They were modeled after their European predecessors. However, for reasons I will explain later no wine was produced in those cellars between the late 1970s and 2012. After a short visit to the Champagne Cellars and its amazing barrels, “The Count” took us to sit in a beautifully appointed Private Reserve tasting lounge and told us the amazing history of the beginnings of Buena Vista, and of its present owner and renovator Jean-Charles Boisset. This very long epic story started in 1857. That year a 42 year-old Hungarian immigrant, Agoston Haraszty De Mokesa, born in a noble but financially unstable family from Pest, arrived in Sonoma. He had always been fascinated by viticulture since he grew up surrounded by his family’s vineyards and orchards back in Hungary. He immediately decided that it would be the perfect environment to plant a vineyard and to build a winery. He found the right place and called it Buena Vista, “the beautiful view” in Spanish. And this is where he built a home for himself and the winery of his dreams which he transformed rapidly into a successful wine business, a research lab, and an experimental field for the 300 seeds and cuttings of varietals that he brought back in 1861 from Europe. Before him a Frenchman, Jean-Louis Vignes had brought the first “vitis vinifera” to California. He contributed to the development of a new viticulture in Northern California through the creation in 1863 of the Buena Vista Vinicultural Society, and he also contributed to the launching of a school of agriculture, which many years later became the University of California at Davis, famous for its academic program on wine-making. But it is interesting to know that the Count’s adventures did not begin in Sonoma. When this very ambitious, enthusiastic visionary arrived in the U.S in 1839, he created the town of Sauk City in Wisconsin where he planted hops and started to brew beer. Then in 1849 he traveled with a wagon train to San Diego where he planted grapes and fruits, and at the same time completely reshaped a whole district of San Diego. He was elected and held the first office of sheriff in San Diego, then was elected to the California State Assembly in 1850. He met and eventually developed a friendship with the legendary General Vallejo, the last Mexican governor of California, who strongly advised him to visit the area north of the San Francisco Bay. And that is what he did. He died in Nicaragua in 1869, probably devoured by an alligator, when he fell from a tree in a jungle river. As a memory of this sad event JCB placed a stuffed alligator near the entrance of the gift shop. After his death the winery continued to receive great reviews and awards until 1878 when financial problems forced Buena Vista to stop its wine production and sell the estate to a family for its private use. Its potential rebirth was further doomed by a succession of problems such as the Great Depression, Prohibition, the phyloxera infestation, the 1906 earthquake, and some other curses. After WW II in 1949 the Bartholomew family bought the property, worked on the damaged buildings, and after replanting a vineyard produced wine again with the help of a well-known Russian-born oenologist and wine maker, André Tchelistcheff. So this historical winery and its vineyards, the first of its kind in California, was practically left unexploited for practically 70 years. But in 1989 the caves had to be closed again because of the damage caused by a new earthquake. Finally, in 2011, after many years of inactivity and neglect Buena Vista was purchased by Jean-Claude Boisset and integrated into his Boisset Family Estates portfolio. Between 2012 and 2015, JCB launched an intensive project to completely restore the property, including retrofitting the center core of the main building to render it earthquake-proof. This proved to be a valuable and successful investment since the retrofitted building went through a new powerful earthquake on August 24 2014, but did not suffer any structural damage because of the anti- seismic protection that had been implanted. Six major labels of wines produced by Buena Vista are now commercialized from there: Private Reserve, Vinicultural Society, Heritage Collection, Carneros, The Count, and Sonoma. As I mentioned earlier the Boisset family acquired Bérard’s tool collection in 2001. In 2010 the original exhibit was transferred to a larger three-room space at the ‘’Imaginarium’’ in Nuits-St.-Georges where it was enhanced with a high-tech and successful 40 minute ‘’sight and sound’’ show renamed ‘’Sacrée Vigne’’. The story focused on 3 progressive stages of grape planting, harvesting and wine making in 3 rooms: the vineyard, the wine, and the men and women who make it. In 2015 Jean-Charles Boisset, brought the show to Buena Vista and reorganized it in a single large room, in an adaptation that better fit an American audience. A part of the original tool collection remained at Boisset’s in Burgundy. Philippe Bérard contributed to the setting of the new exhibit at Buena Vista. This American version of the exhibit, that officially opened at the end of May, has benefited from up-to- date audiovisual techniques as well as a very good voice-over narration by George Webber, the actor who personifies “The Count”. The walls on the stairs to get to the museum which is on the third floor of the Champagne cellars building are decorated with a collection of antique glass decanters displayed in glass cabinets. But there is also an elevator for the handicapped or less energetic visitors. George Webber took us there by this elevator. The first thing you notice is a long banquet table in the center of the room elegantly set with period china and stemware, lit by chandeliers. Sitting and or standing by the table, are mannequins in festive attires, personifying the two sons of the Count who had just married the two daughters of General Vallejo..
Then we started to watch the successive displays of 19th and early 20th century French tools and equipment, which are sometimes suspended from small chains, sometimes encased in special cabinets or panels all around the room against the beautiful walls made from stones from the nearby Mayacamas mountains. And to accompany the visitor in his discovery and understanding of the evolution of the farming, planting, harvesting, wine fermenting and aging, and barrel making, through the ages, some videos, music, and of course the narrative, tell you the whole story. Every time you move from one “station” to the next, the lighting of the set, sometimes brightly colored sometimes more subdued, changes and this produces some quite effective special effects which sometimes emphasize the threatening aspect of cutting tools, or the beautiful visual aspect of small presses, elements and tools used in woodworking and barrel making. There is a logical historical and technical progression from the first displays (left from the entrance) to the last one on the other side of the room. You start with early, almost primitive tools used in the caring of soil and vines, such as plows, picks, grafting and pruning knives, shears, secators, and amazing soil injectors. Then you see everything used during the harvesting time and early stages of grape pressing: baskets, boxes, fouloirs, screws, small presses, and small wooden fermentation vats. There is quite an impressive group of pomace cutters in the center wall. But to me the most beautiful part of the exhibit is on the right wall where you can admire all the stages of woodworking that lead to the manufacturing, assembling and burning of barrels. From saws and axes to cut down the trees and tools to make staves, to batissoires, doloires, gabarits, and spigots. When the 20 minute show was over I told George Webber that the quality of his voice reminded me of the voices of French professional actors and narrators that I worked with for several years at the French National radio in Paris before moving to the United States. I told him that instead of being called the Count of Buena Vista, he should be nicknamed the ``Orson Welles of Sonoma``. He helped us to travel back to the time when Agoston Haraszty’s visionary dreams became reality. Museum Tours are available daily by-appointment at 11 AM, 1 PM and 3 PM (walk-up visitors will be accommodated as availability allows; groups of eight or more require advance reservation). In addition to the $25 tour and tasting, families will also be offered a choice of a museum-only experience for $10 per person, and children with paying adult are free. Normally the ticket price of the guided visits include the tasting of a few Buena Vista wines.